2015 , A strange sort of Year…..
As another year draws to a close , as usual the last (or nearly last….) post of the year is a reflection on what has been a strange sort of year for us , extremely good highs but worrying lows……. We were supposed to see the New Year in on Islay but just before Christmas i got a very bad cough that resulted in us cancelling the trip , a real shame as we’d been looking forward to the stay in Bowmore .The cough actually lasted 3 weeks and went just as the time came up when the Doctors were willing to treat it ! At the end of February we headed north to spend a night with some good friends of ours , The Cuthberts , it was great to see Francis , Hazel and the kids again , it gave us a chance to catch up and also see how Francis’s whisky was maturing , i also managed to talk Francis into letting me have a sample to take to Toronto (More about that later….) , another old friend from the area , Liv , also popped in for dinner . 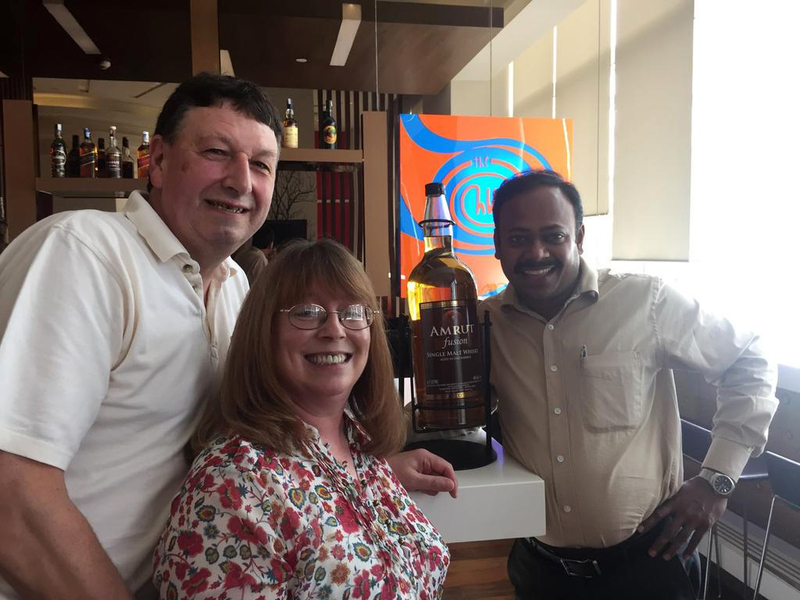 March saw us resuming the Whisky Festivals representing Amrut and our good friend Ashok , We did 3 this year , Newcastle in March , Edinburgh in June and York in September . All were very good but i think we enjoyed Edinburgh the best , it was a glorious day , it was in a marquee and it was in a glorious garden in the New Town ! The only bummer about it was we had to do a course to serve at it as the Licensing laws had changed in Scotland. But it wasn’t the only online course i had to do to serve Whisky at a Festival , i had to do the Smart Serve Course for the Toronto one and that was a bugger ! Beware anyone that wants to serve Alcohol to the public in Ontario !!! As it turned out the York festival was our last serving behind the Amrut Table as (a) we didn’t make it to Manchester due to unforseen circumstances and (b) the UK distributors were taking over the running of the tables after Manchester . 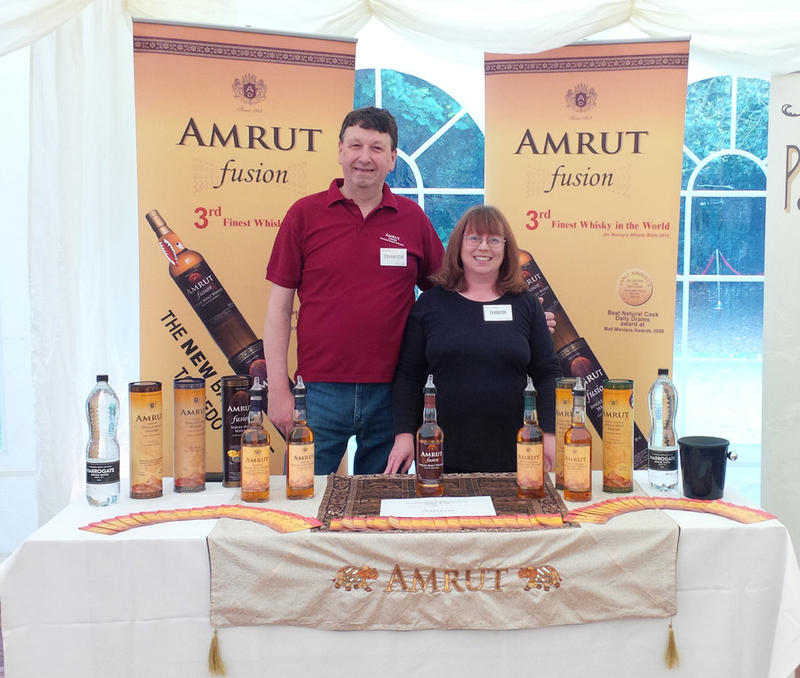 We’ve had a great time representing the Distillery at The Whisky Lounges Festivals , meeting people and enlighting them about Amruts Great Whisky , it is hard work but great fun ! Talking of Toronto….. We decided to return there again in May , we originally were just going back s ‘punters’ this time but once Johanna and Charles found out they asked if we could do another Masterclass (must’ve done something right the last time…..) , we did , A Caol Ila one with a Daftmill thrown in for fun . 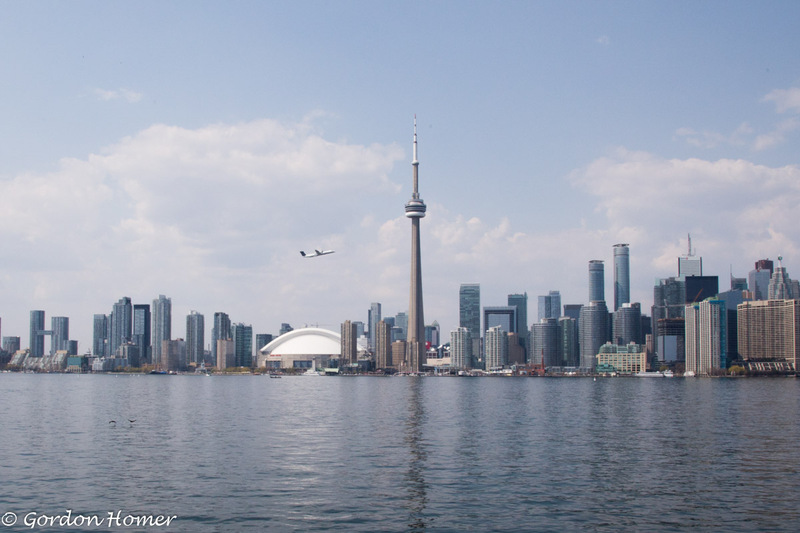 We had a great 4 days in Toronto , The place is wonderful but the people make it extra special , a huge thanks to Johanna and Charles , Wendy , Rick , Paul and Nancy , Rob and many , many more for once again making us thoroughly welcome and hopefully we’ll see you in the not too distant future ! Another strange thing about this year is it is the first year since 1998 that we haven’t set foot on Islay ! Normally we would spend at least our summer fortnight there , not this year as for our summer vacation we were invited by Amrut to visit India ! So come the end of August we boarded a flight at Newcastle with the eventual destination of Bangalore . To say we had a fantastic time is a bit of an understatement ! 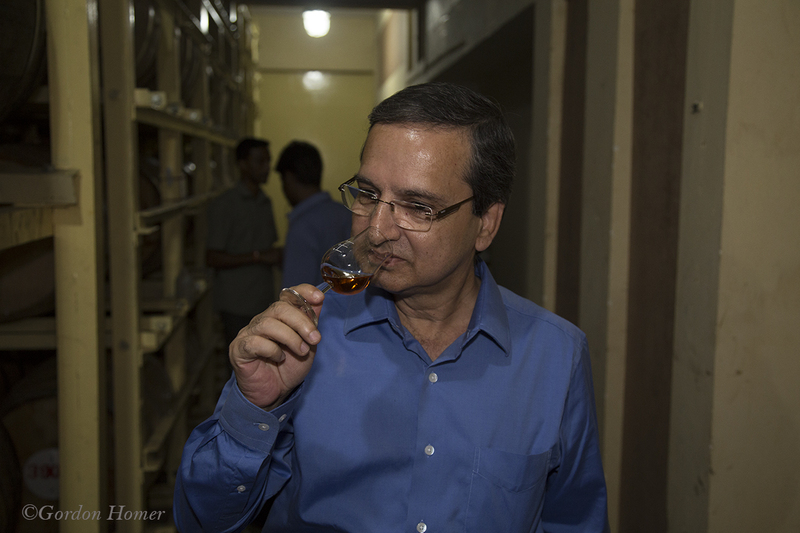 There were so many highlights, of which the top one for me has to be the day spent at the distillery in the company of the Master Distiller Surrinder Kumar and our good friend Ashok . The whole trip was an experience we’ll never forget , Our thanks to all at Amrut for their Kindness and Generosity , Rick , Ashok , Surrinder , Pramod , ‘Aunty’ Valli Margreat , Purshotham and Prakash you made it a very special holiday ! A few weeks after our return life was going to take a slight turn for the worse , on the morning of the 25th Sept i had a myocardial infarction , a heart attack as it is commonly known though not technically correct , luckily (if there can be such a thing for a MI) I was working at a local hospital and got took straight around to the Walk In Centre , from there I was whisked off to the brand new , super duper , Emergency Specialist Hospital at Cramlington accompanied by Melanie, who’d been dropped off from her work place , After various tests and 10ml Morphine (have to say I’ve had a bigger kick off Jura than that…. But it did kill the pain) they said I’d had a MI and would have to be moved to The Freeman ( The Regional Heart Centre ) for a Angioplasty . I spent the Friday night in Cramlington and was moved to The Freeman late on the Saturday night , they explained the procedure , they go in through my wrist with a tube , inject dye in , see what was wrong with xray cameras and if not much repair , all under ‘Local’ , would take about an hour or so . They might do it on the Sunday if an Emergancy comes in and they can utilise the team but more or likely on the Monday . So on the Sunday afternoon (27th) at 3pm I got the call to get changed……. Eventually I was returned to the Ward for possibly the most uncomfortable nights sleep, well not sleep, I’ve ever had , I had to keep the leg they’d used straight all night and a couple of “characters” on the ward didn’t help ! I was released from Hospital on the Monday Evening with a fine collection of Medication , I have to say the staff at all the hospitals were excellent , especially the procedure team . I then spent the next 8 weeks recouperating , missing a few whisky events in the process , before returning to work at the end of November . So that is basically 2015 , 2 great Holidays and a major health scare ! There is one person i haven’t thanked yet , the person who accompanied me on all my adventures and who was my rock during the health scare , The love of my life , my gorgeous wife Melanie , she is one hell of a woman and got me through the recent months ! Thank You My Love ! The Good things……. Canadian Wine (again) , Canadian Whisky (again) , Indian Wine , Anything in Amruts Warehouses ! ‘Aunty’ Valli Margreats Biryanis , My Bunnahabhain Bottling !. The Bad Things….. Ardbegs recent offerings (come on guys, get a grip you can do so much better!) 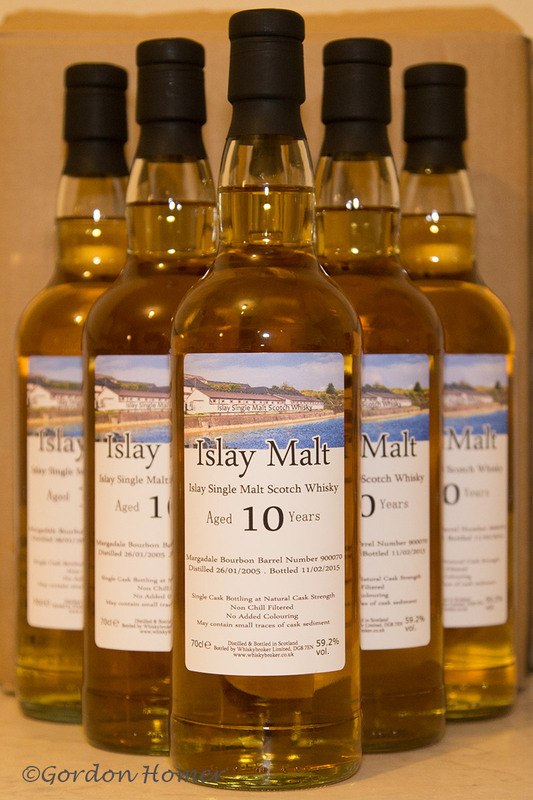 , Lots of the Whisky Community ( get over the obsession with Jim Murray , if you don’t like what he does , don’t give him the publicity , just move along) , Even more ridiculous pricing of Whisky (that’s a good way to lose custom ) . I hope everyone has a Very Merry Christmas and a Happy and Prosperous New Year ! I’m happy to say i’m a fan of Canadian Whisky , even before “The Man in the Hat” declared one the Worlds Best Whisky of 2016 , though i have to say that particular brand doesn’t come near the top of my favourite Canadian Whiskies……..
Gooderham and Worts was a distillery in Toronto that shut down in 1990 after over 150 years of production , in 2001 the property was purchased by a development company and was turned into a tourism area that is now known as the Distillery District which includes Arts and Craft shops , and Cafes and Restaurants . 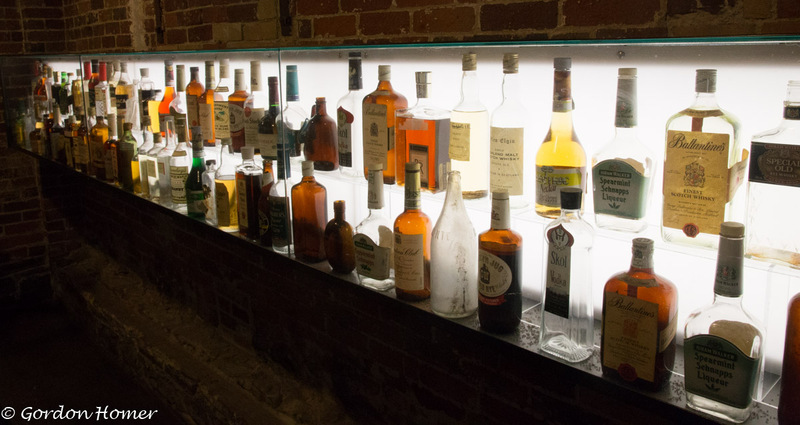 We can thoroughly recommend the Pure Spirits Oyster House and Grill as somewhere to have a great meal and if you go out to the rear of the restaurant you’ll find a rather interesting collection of Spirit samples from the Distilleries past…….. 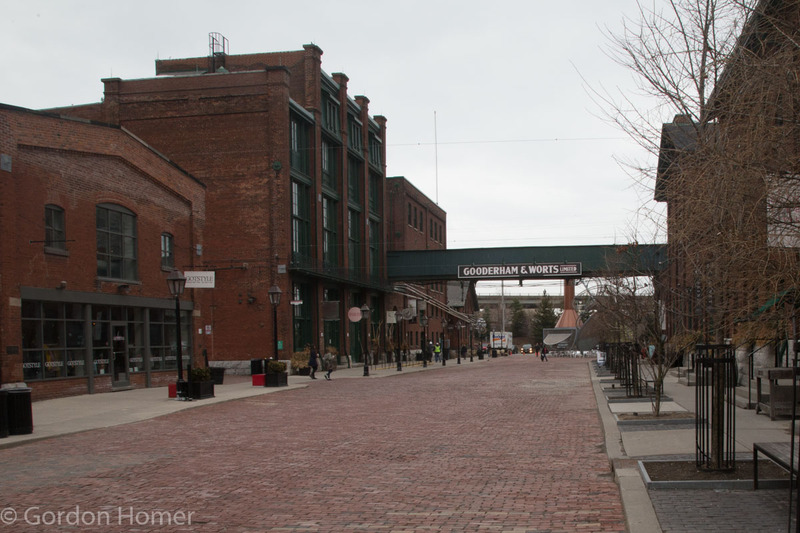 The Godderham and Worts name has passed through a few ownerships (including Hiram Walker and Allied Lyons) and is now part of the Corby Distillers group owned by Pernod Ricard and based in Windsor , Ontario which also includes the fine Canadian whiskies such as Wiser’s ( 18 , Red Letter , Legacy to name a few) , Pike Creek and Lot No.40 . Gooderham & Worts Four Grain , as the name would imply , consists of spirit made from Four Grains ( Corn , Barley , Wheat and Rye) , Bottled at 44.4% abv , this one is from Blend A.A1129 (whatever that means….) . 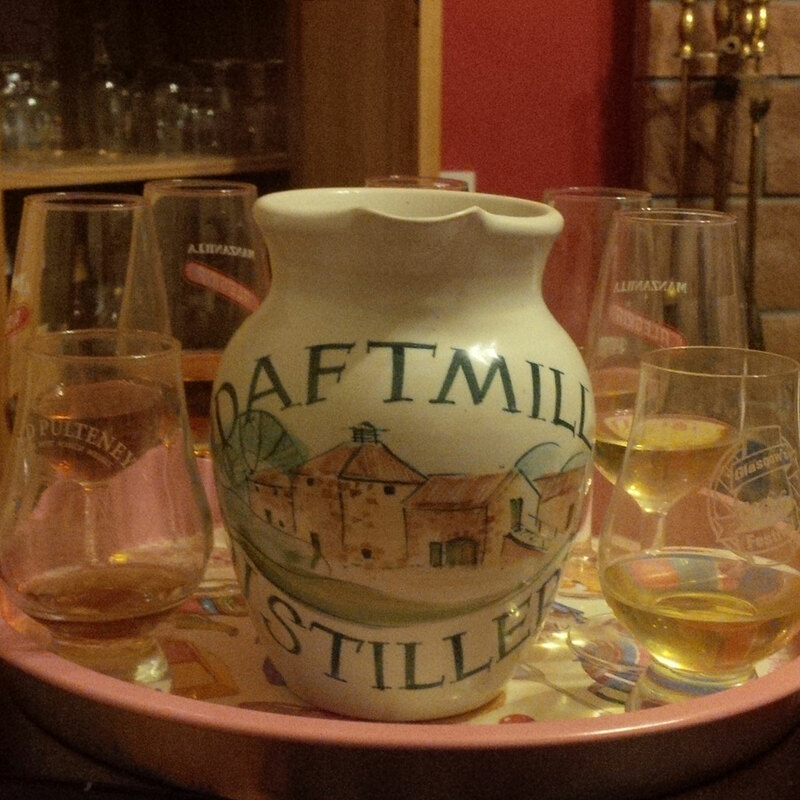 A lovely Golden Syrup colour in the glass , The initial nose is of Rye , there seems to be quite a lot of Vanilla as well , Butterscotch toffee follows , a nice whiff of fresh bread and wood spices . It has a lovely complex nose , a bit of fruitiness rises from time to time . On the palate we again have an abundance of Rye alongside Butterscotch , a wonderful spiciness with a touch of Maple Syrup, very warming on the palate . The finish is medium to long with Rye , Barley and spices . An absolutely wonderful dram , just what i’d ask of a Canadian Whisky , have to say if this was readily available here , this would be a regular on my whisky shelf . I’d like to thank a good friend of mine in Toronto for sending me this bottle and giving me the chance to try it , Paul (@MarkhamWhisky) you are a Superstar !